Whenever the colder months begin to roll around, the word “vampy” gets thrown around a lot in the beauty world, and people get really excited to begin wearing dark, berry lipsticks again. For some that aren’t as adventurous with their lip colors, this shade of lipstick can be quite intimidating. A dark lip can look very dramatic and intense, but wearing it the correct way can be very chic and wearable. While we’ve covered our favorite lip colors for fall, this post will help guide you on how to wear a dark lip. Wearing a dark lip can emphasize dry lips, so it’s important to prep and prime them for the easiest application. Exfoliate your lips to remove any dry flakes with the Fresh Sugar Lip Polish. Then, be sure to moisturize! 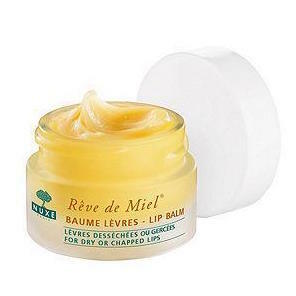 The Nuxe Reve de Miel Lip Balm is great for pre-lipstick application because it sinks into the lips quickly while still leaving them hydrated, and also has a matte finish. Since a dark lip can give away any little bumps or smears, a lip liner is a good way to help with a precise application, and it will also help the color to last longer. When choosing a lip liner, try to choose a color that exactly matches the lipstick. If you can’t, go a few shades darker, and blend it in really well with the lipstick. 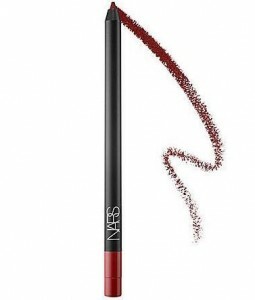 The Nars Velvet Lip Liner has a very creamy formula that makes it easy to apply. 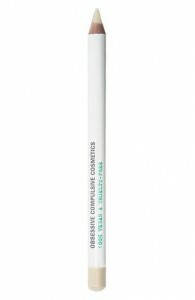 If you’re wearing a liquid lipstick, or worried that the color will bleed, a primer pencil like the Obsessive Compulsive Cosmetics Anti Feathered pencil will add an invisible barrier around the edge of your lips to ensure that the color stays in place. Unless you’re going for a gothic look, your face will look washed out without any blush. 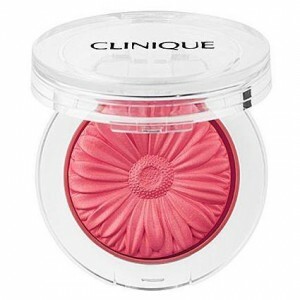 In order to bring back a youthful flush to the face to look more lively, blush is essential. Choose one that is in the same family as your lipstick to bring the whole look together. 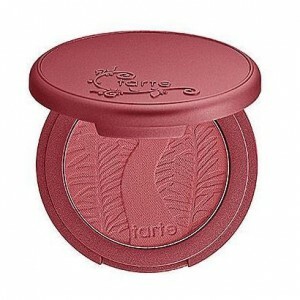 The Clinique Cheek Pop in Berry Pop is a great shade for berry toned lip colors, and the Tarte Amazonian Clay Blush in Blushing Bride is best for deep purple shades. The dark, vampy lip color has spotted on many runway shows and editorials for this season, and now it’s a look that can be easily worn by you! With these few simple steps, get ready to rock a dark lip in the chicest way possible.